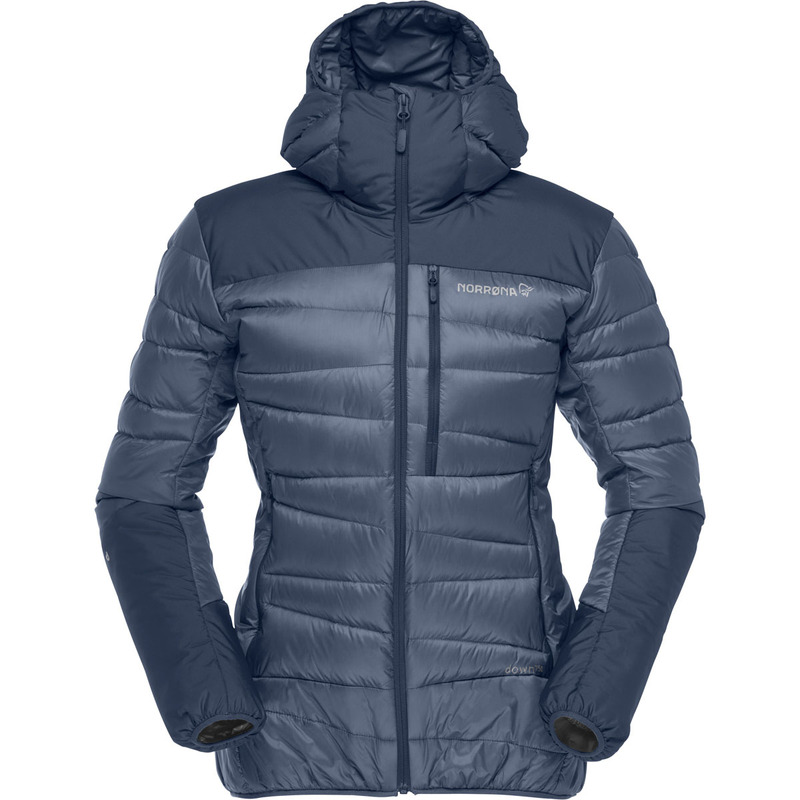 Whether traversing storm-blown glacier fields on dry summer days or shivver bivvying before a big winter climb, the Norrona Falketind Down750 Jacket Women has been designed to provide the best balance of warmth and weather-protection for the all-season adventurer seeking a versatile down jacket. Highly insulating 750-fill natural down is distributed in a t-shirt shape across the body to act as an insulating shield for the core's body temperature, whereas the sides, neck, lower arms, shoulders, and bottom back, are insulated with a water-resistant synthetic down to prevent loft and heat-loss from exposure to sweat, falling snow, and contact with ice or snow on the ground. The storm hood insulates the head to protect from biting wind, and an elasticated hem and cuffs seal in warmth. 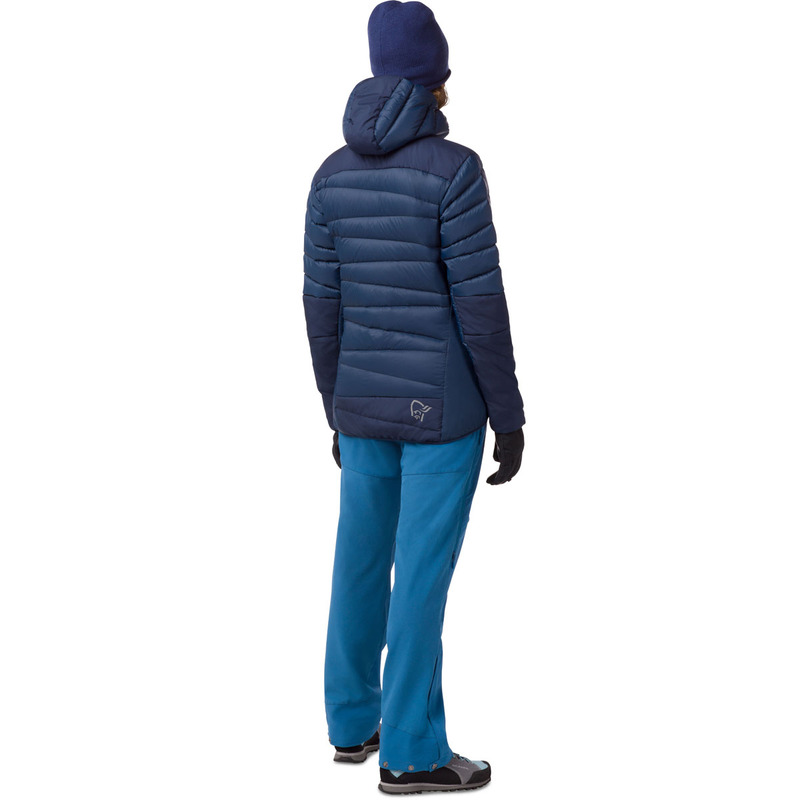 For durability, the shoulders and elbows have been reinforced to prevent premature wear from contact against rock or hooked-over-the-shoulder ice axes, and a highly abrasion-resistant 20-denier nylon made from 100% recycled fabrics is used. Other features include a DWR (durable water repellent) that uses no harmful PFCs and the Responsible Down Standard certification. 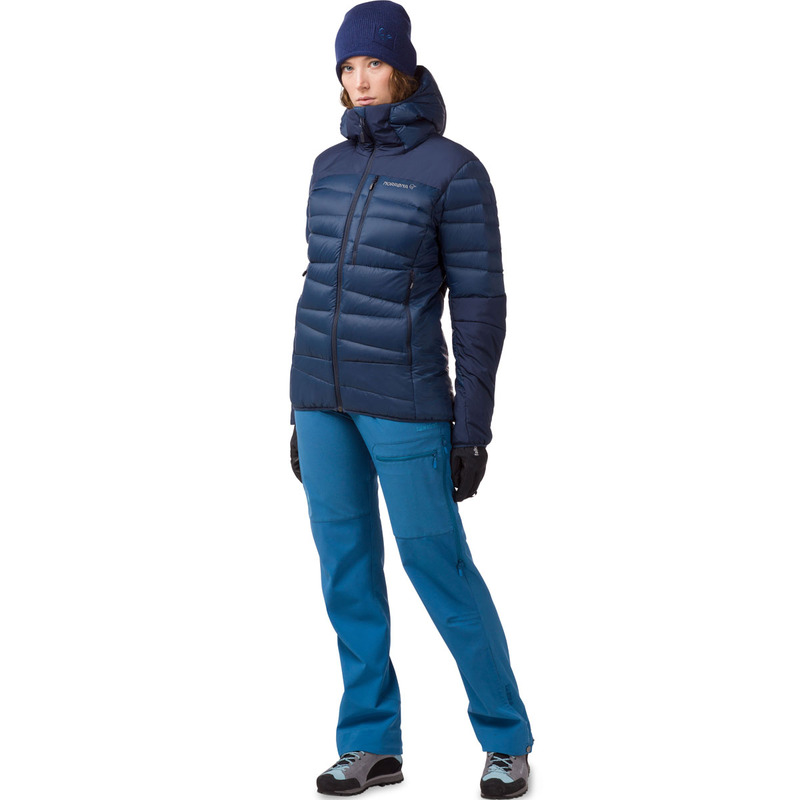 Lightweight, compressible, windproof, and weather-resistant, the Norrona Falketind Down750 Jacket Women is an environmentally-responsible down jacket that works best as an outer layer in warmer conditions or a midlayer in winter. Made for the non-stop mountain-goer.